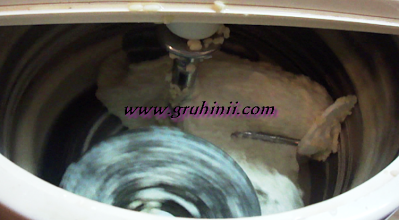 ​Grind the urad dal to a thick but smooth dough in a wet grinder. You can grind in the mixie too.. 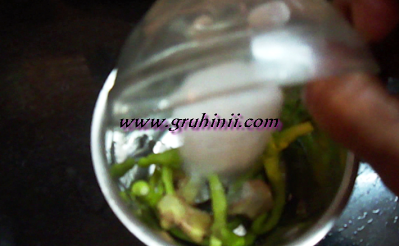 Grind green chillis, ginger and a tspn of salt to fine paste. 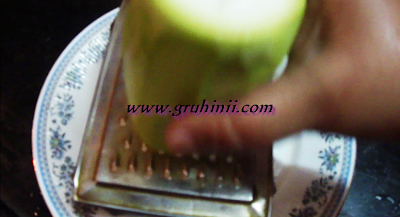 Peal the bottle gourd and grate it. You can also cut to small pieces. Add half tspn of salt to it and keep it aside for 15 to 20 mins. 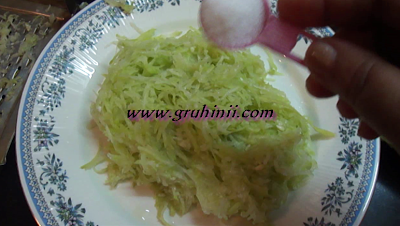 Squeeze water from the grated lauki. 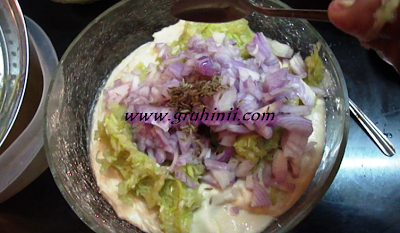 You can also add 1 cup chopped onions for taste (this is optional). Add it to the dough. 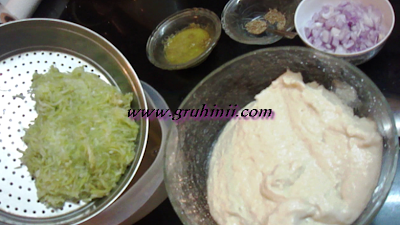 Add the chopped onions, salt to taste, half tspn hing, jeera and green chilli ginger paste and mix well. 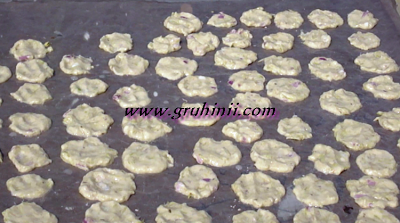 Spread a plastic sheet in the sunlight and place small papad as shown here. Dry them for 2 to 3 days in hot sunlight. 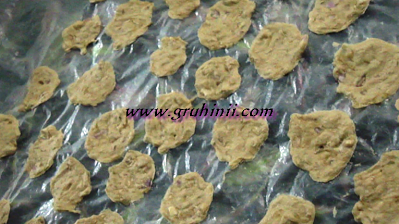 Make sure that the papad are completely dry and store them in an air tight container.